There are so many little things that would make great stocking stuffers, but I understand how difficult it would be to think of things unless you work in a shop yourself…so I put together a list of different things you might consider if your spouse is a DIYer. Almost all of the below items can be found at Home Depot but the few that can’t are marked for you. Hope you find it useful! This is a great tool for anybody that uses a paint brush. Something else for painting…they hold the object up off your workspace so you can paint the sides as well as the top. Very handy and perfect size for a stocking. Traditional – If you purchase traditional style ear plugs, then I would recommend buying the ones with strings attached. Surefire – These are my personal choice. They are comfortable and I like them because I can plug up the hole in the back when I’m working to cut the sound, but then unstopper it when I lay my tool down (instead of taking them out). You can actually buy these cheaper than a box of the disposable kind. You can buy a 51 piece pegboard hook set for cheap, but check to see how thick the pegboard is before buying any because they make hooks for 1/8″, 1/4″ and 3/4″. By far one of my favorites. 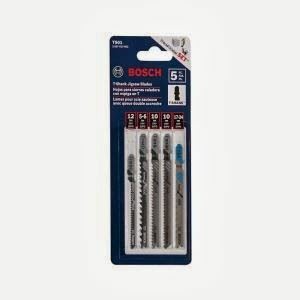 Regardless of what brand their drill is, this is the perfect drill accessory that will help with drilling in screws. It has a retractable sleeve that helps stabilize the screw while it’s getting started. Very useful. You put a strip of sandpaper in both ends so instead of holding the paper while sanding, you hold the block. The simple things are the best! 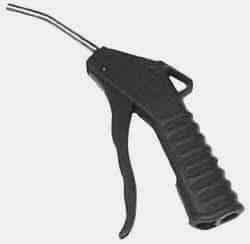 These are so useful and make a could be difficult job into something quick and easy. It transfers a line onto the backside of your work so that you know where you need to put in your nails/screws to join two pieces of wood. It’s one of those things where you might only use it once or twice a year (depending on what type of projects you do) but if you need it, you will be thankful to have it. This is for unclogging sandpaper so that it last longer. I don’t personally use it, but it’s small and cheap and I know lots of people like it. Need. Must have. So handy. Again, one of those small things that will make you thankful you have it even if you only use it once a year. It makes checking square on a project a one person job and gives a more reliable reading. With this calculator you can plug in feet, inches, yards, fractions….everything. It’s handy and makes shop life easy. It’s shocking how often I reach for this guy. Buy them one and I promise they will find a use for it. I keep three tape measures in my shop, but Stanley LeverLock is the one I recommend and reach for the most. This one might not be a good item for all, but if they are just starting to build their tool inventory then this would be something good to throw in. Any saw in a shop will have blades to replace so my recommendation for you is to take a photo of their jigsaw, scroll saw, band saw, hack saw, sawsall (not circular saw because those blades are too big for the stocking), and take it up to Home Depot and ask a sales person to help you find blades that go with the tool. Having an auxiliary cord allows me to plug my phone into my shop head unit so I can pick my own tunes. 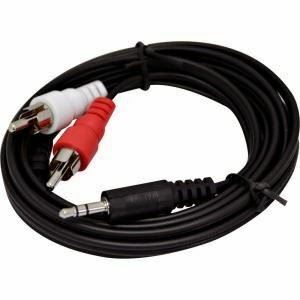 This is also called a headphone to RCA jack. Love this tool. It’s one tool my husband is always stealing and I’m always stealing it back. I would say it’s a must have. This is a great accessory to get anybody that owns a tablesaw. The price varies depending on where you purchase it at. If they have a nailgun then this is a great tool to accompany it. Instead of coming to a point, it has a flat nose so that it can cut stray nails flush with the wood. It is a must have. These things are amazing to have around. They are little flexiable caps that can be placed over an assortment of things to seal or protect the end such as: capping off tubes of caulk, a pneumatic tool’s port, electrical wire, wood glue. The best price for these guys are through Amazon. Foam Brushes – $2: You can find these everywhere but Big Lots has the best price at $2 for the large assortment pack. 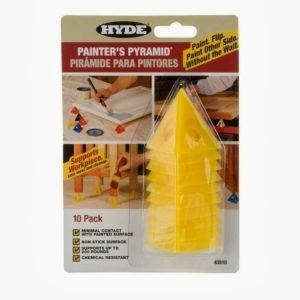 These are great for staining. Chip Brushes – $2: Again, best price is at Big Lots. These are great disposable brushes that are handy to have in a shop for jobs not requiring an actual quality paint brush. Nail Gun Nails – $5-$15: Find their bradnail/finish nail stash and see which lengths are getting low. Pay attention to the gauge of the nail (example: 18 gauge; 16 gauge) then go pick up a box or two. 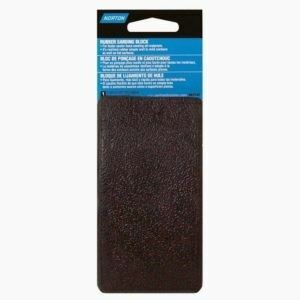 Sandpaper – $10: It’s like packages of diapers…you can never have too many given to you. ; ) If you buy the strips of paper or the sanding sponges then you can fit them into a stocking. Pencils – $1 – They break, they get lost….it’s just always good to have a few on standby. 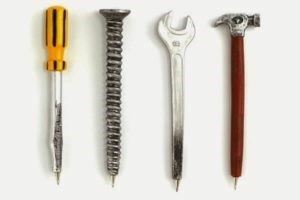 Screws – Check to see which boxes of screws are getting low and purchase another one. Wood Glue – $3: I use Elmer’s brand because Gorilla’s cap doesn’t hold up over time. Off – $5: Yes, the bug spray. I always keep a can in my shop. Christmas Gift Ideas For A Woodworker + Stocking Stuffers Ideas!